A national publication says Des Moines is the best city in America for young couples who want to raise children. The top-place ranking is being released by Kiplinger’s Personal Finance magazine, where senior editor Sandra Block says Iowa’s largest city was the leader by far, based on a host of criteria. 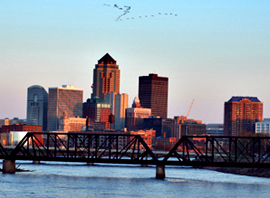 “Des Moines ranked number-one as a city for young families,” Block says. The rankings also include separate lists of best cities for young adults, professionals, empty-nesters and retirees. Block says Iowa’s capitol city has consistently ranked well in the annual survey but this is its first time at the top. While Des Moines was tops on the list, Manchester, New Hampshire, was number-two, followed by: Trenton, New Jersey; Dallas, Texas and Rochester, New York. See the full rankings at: www.kiplinger.com.